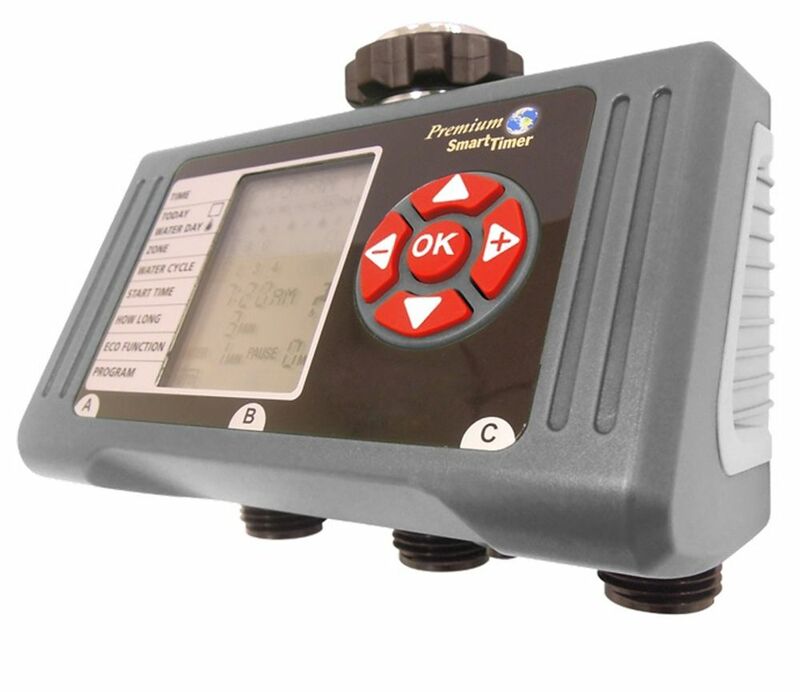 3 Zone programmable electronic water timer. Each zone can be programmed with up to 4 watering cycles for a total of 12 cycles. Watering duration from 1 minute to 240 minutes ( 6 hours).Flexible watering day feature for optimum efficient watering. Rain delay available for up to 6 days. The Genesis Drip Irrigation System was created for gardeners and growers who are looking to conserve water consumption by delivering the right amount of water directly to the root system of the plants. Each of the Genesis Drip Irrigation Systems are designed for specific projects to make it easier to select the system that is right for you. Genesis also offers additional accessories to allow for the grower to customize their own system to fit their own personal needs. This kit is a flexible DRIPPER PIPE that allows for accurate watering of crops planted in rows. The Drip Pipe is easily attached to any hose and measures 50ft. in length. The drippers are spaced out 1/ ft. The included pressure regulator ensures the correct level of water flow and drip through the flexible Dripper Pipe. 3 Zone Electronic Water Timer 3 Zone programmable electronic water timer. Each zone can be programmed with up to 4 watering cycles for a total of 12 cycles. Watering duration from 1 minute to 240 minutes ( 6 hours).Flexible watering day feature for optimum efficient watering.